Dulce Danes - Deathwish MoversIn January 2011, Bugs and I shot an episode for a new Travel Channel tv series called Deathwish Movers. 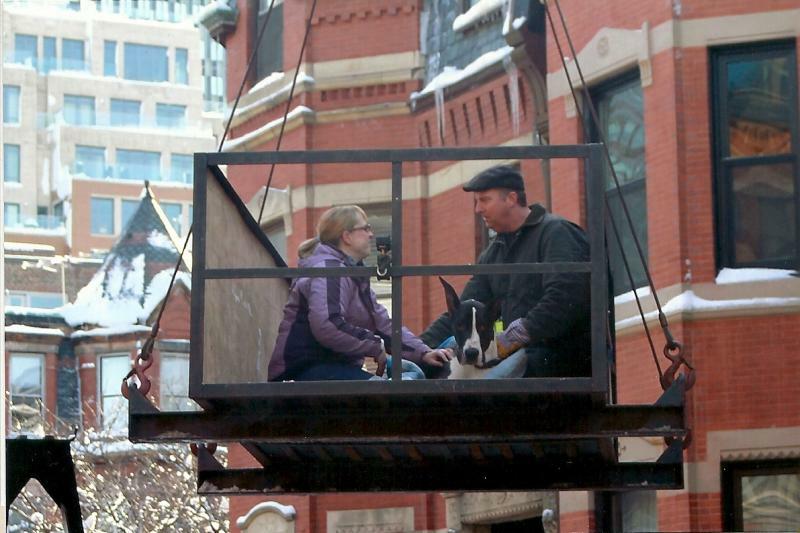 The episode aired on Wednesday, March 23, 2011 on the Travel Channel. Deathwish Movers are a real moving company based out of Boston. This episode was a reinactment of a move with a Great Dane. The Dane had been injured and lived in a third story apartment. They used a crane to raise Bugs, myself, and a mover to the third story apartment window and then pulled Bugs in through the window. 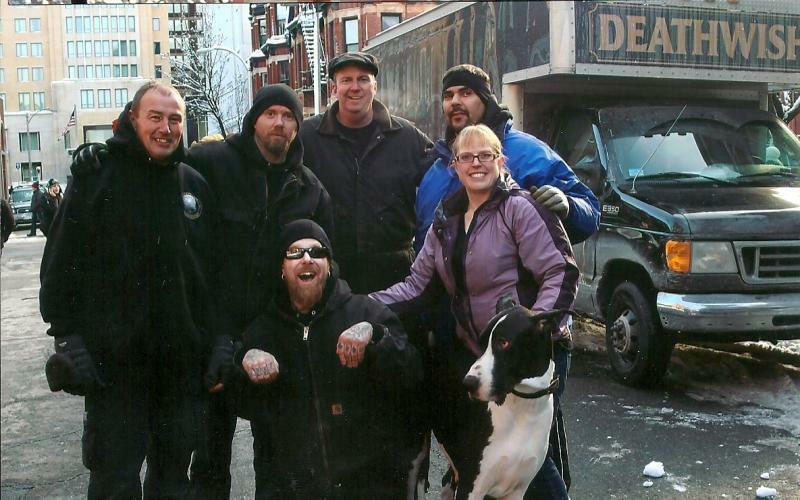 In January 2011, Bugs and I shot an episode for a new Travel Channel tv series called Deathwish Movers. The episode aired on Wednesday, March 23, 2011 on the Travel Channel. 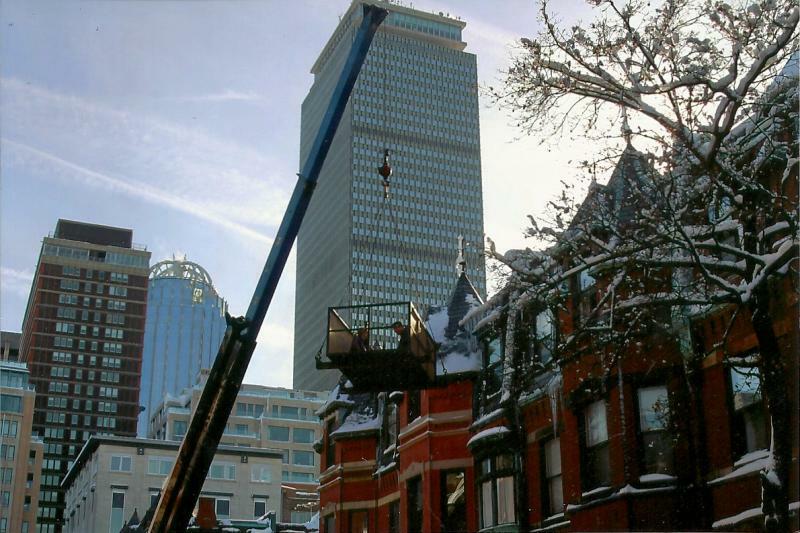 Deathwish Movers are a real moving company based out of Boston. This episode was a reinactment of a move with a Great Dane. The Dane had been injured and lived in a third story apartment. They used a crane to raise Bugs, myself, and a mover to the third story apartment window and then pulled Bugs in through the window.